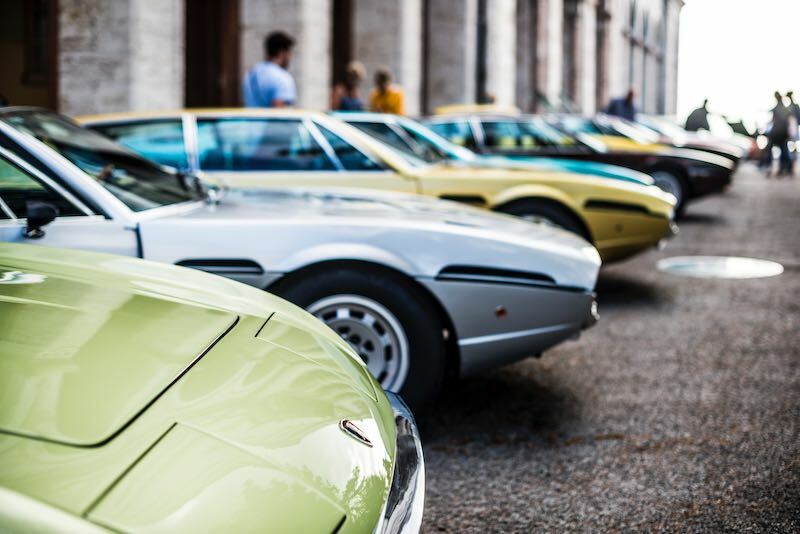 Twenty Lamborghini Espada and Islero models gathered on 7 September 2018 in Perugia, Italy to tour the region in celebration of their 50th anniversary. It was 1968 when the House of Sant’Agata Bolognese presented its first four-seater (Espada) and the evolution of its 2+2 (Islero). The tour route covered almost 800 km, crossing through Umbria, Tuscany and Emilia-Romagna. The colorful Lamborghinis cruised over hill routes and through the historic centers of cities full of charm and history such as Perugia, Orvieto and Assisi. There were some that stood out for their particular story or that of the owner, deserving a special mention at the end of the tour. An award for the car owned the longest by a single owner went to the 1973 Espada Series 3, chassis 9300, purchased as a used car in January 1977 by two English owners. For years it was the only family car, used on a daily basis to go to work and take the children to school. Considered by its owners to be part of the family, it was recently restored and registered for the tour on the occasion of the owners’ golden wedding anniversary. The award for the car driven from farthest away went to the very rare Espada Series 2, chassis 8386, one of only 12 produced with a VIP fit-out. The Norwegian crew, who made the round trip from Oslo, traveled a total of 6000 km. 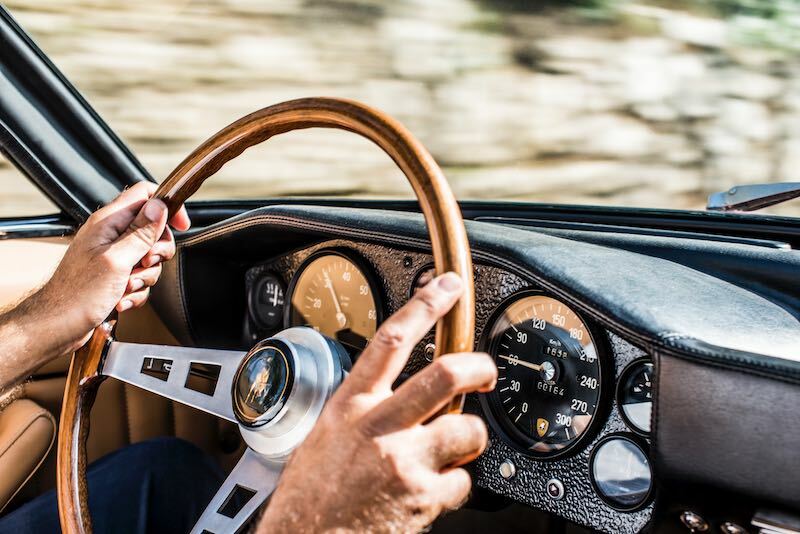 The recognition for the car most “faithful” to Sant’Agata Bolognese went to the 1968 Islero S, chassis 6435, one of the very few equipped with right-hand drive among the total of only 70 Islero S models produced, owned by an English collector. Driven every year from England to Sant’Agata Bolognese for servicing, it was purchased new in 1969 and then passed down to the owner’s son in 1993. 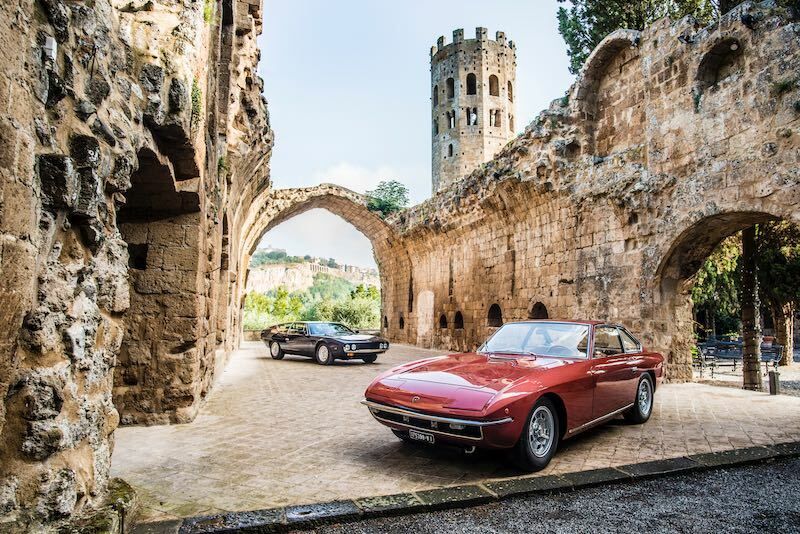 Also participating in the tour were two cars from the Lamborghini Museum, an Espada Series 3 (chassis 9090 of 1976) in the color Blu Notte and an Islero (chassis 6330 of 1968) in Rosso Amaranto. Despite the long route and the challenging roads traveled, in addition to the drive to reach Perugia, all the cars arrived in Sant’Agata Bolognese in working condition.